The Netherlands’ Arnhem city is known to be one of the most bitcoin friendly cities in the world. Since the establishment of Arnhem Bitcoinstad or Bitcoincity, the number of bitcoin accepting merchants increased exponentially, initially starting from 2 local bars and a restaurant to 100 bitcoin merchants including malls, coffee shops and restaurant chains. 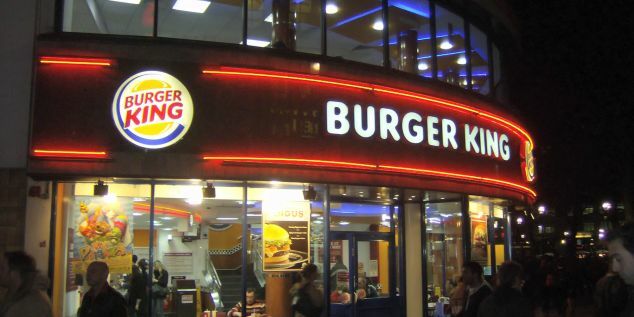 The latest merchant to join Arnhem Bitcoinstad is the Burger King, located in the city center of Arnhem. With the help of local startups, bitcoin enthusiasts convinced a Burger King franchisee to accept bitcoin payments. The Burger King Arnhem branch also announced that anyone that pays in bitcoin will receive a second burger (Whopper) for free and the restaurant will host bitcoin meetups for tourists and enthusiasts interested in bitcoin and digital currencies in general. The Arnhem Bitcoinstad team believes that simply accepting bitcoin and growing the number of bitcoin merchants is not enough. Arnhem Bitcoinstad is helping local bitcoin merchants to keep their bitcoins and use them to pay some of their suppliers or at other merchants who accept bitcoin. By implementing this closed cycle of bitcoin payments, Arnhem Bitcoinstad hopes to see a significant growth in bitcoin adoption and awareness in the upcoming months. “And this is the ultimate goal of the project: to start a real Bitcoin economy, and prove that a real, viable alternative for the current financial system is possible and actually happening,” the team said. “When this project started, all merchants converted their bitcoins to euros immediately through the payment processor BitKassa, but a growing number of merchants now keep their bitcoins, since they can pay some of their supplies with bitcoins themselves at other merchants who accept Bitcoin as well. For instance a restaurant owner who pays for his bread at a bakery that also accepts bitcoins,” they added.